We were enamoured from the moment we walked through the entrance. 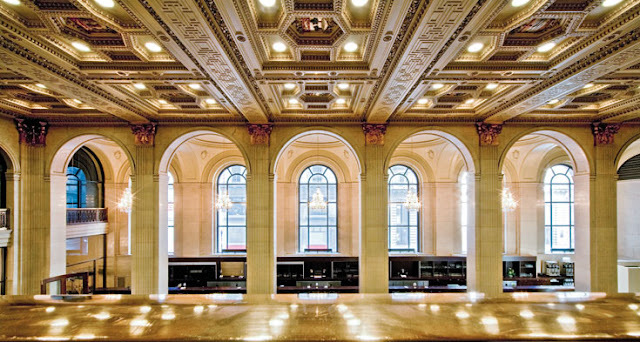 The opulence of one of Toronto's most iconic buildings, One King West, evoked a grandeur and a prestige only a Collection by Lucian Matis could rightfully equal. Huge columns arched by massive bay windows and stunning gold crown moulding throughout. 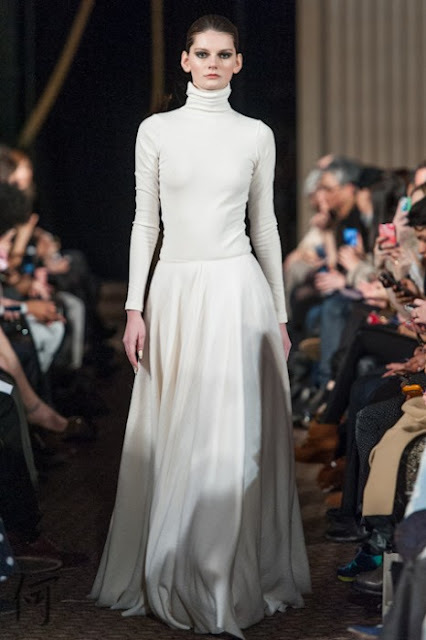 I'm sure you all remember Matis' majestic and jaw-dropping Collection during Fashion Week last year at the Fairmont Royal York; we thought it was the best of the year. This year, one of Toronto's most celebrated Designers took us in an entirely new direction. A private showing to an invite-only crowd (thanks for inviting me Lucian! 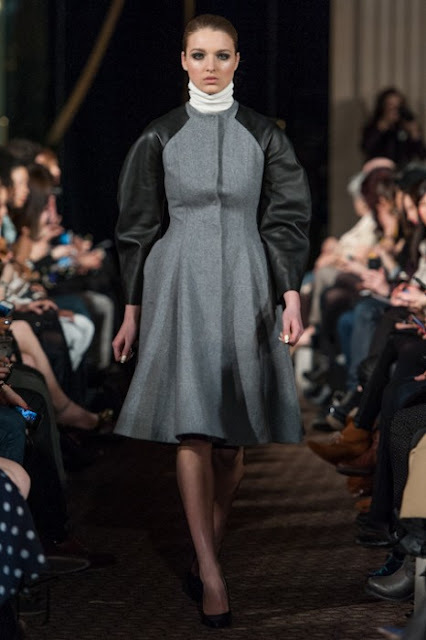 ), Monochromatic Fantasy took place in the Grand Ballroom of One King to a packed house of industry professionals, celebrities, designer guests, and media. We were treated to hors d'oeuvres, Bailey's cocktails, and delicious treats pre-show. 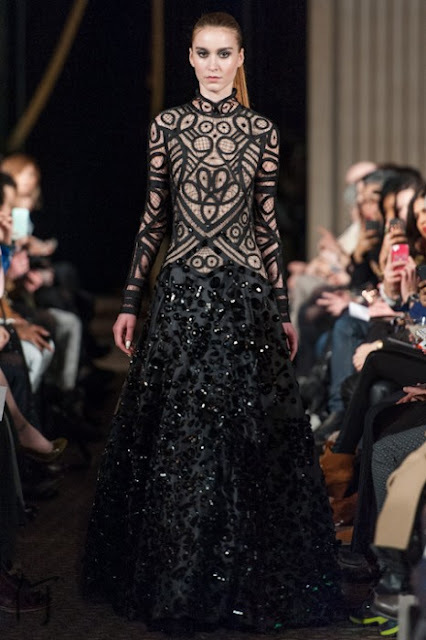 Once runway began, in an unexpected twist, Matis presented an exclusive Bailey's creation gown to start the show as almost, I can only imagine, a nod to the prestige of his last showing. Featuring the same, repeated aesthetic of incredibly detailed, hand-cut patterns and a brilliant gown; this starting dress was a glimpse of nostalgia; and it, like it was in the past, was quite epic. 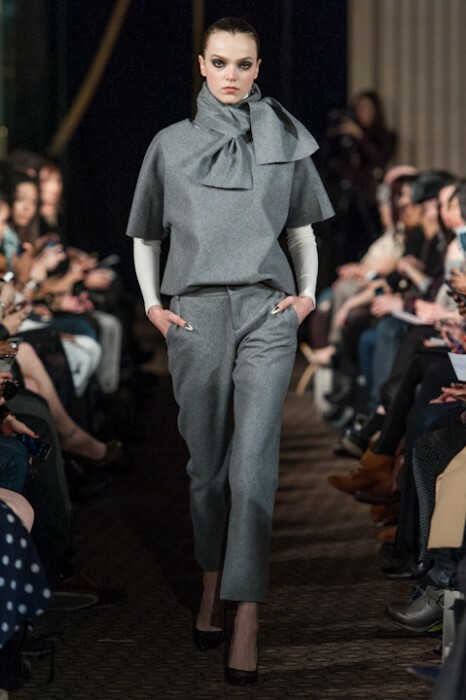 Monochromatic Fantasy was everything the name suggested; a stark, clean palette presented with an air of regal majesty. 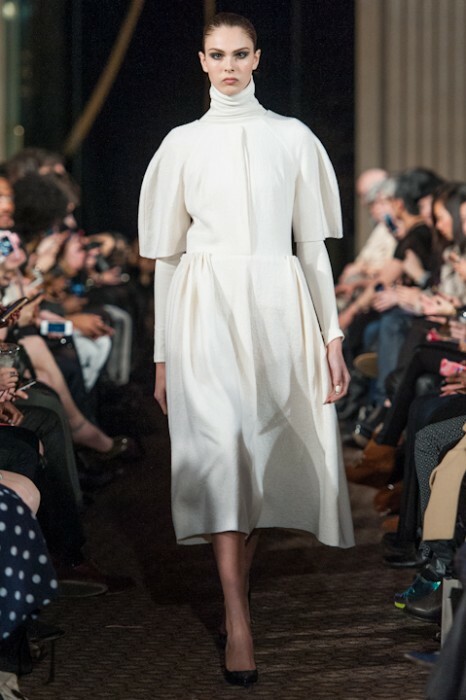 Huge gowns in the crispest, angel white were dramatic and powerful in shape but simple in essence. 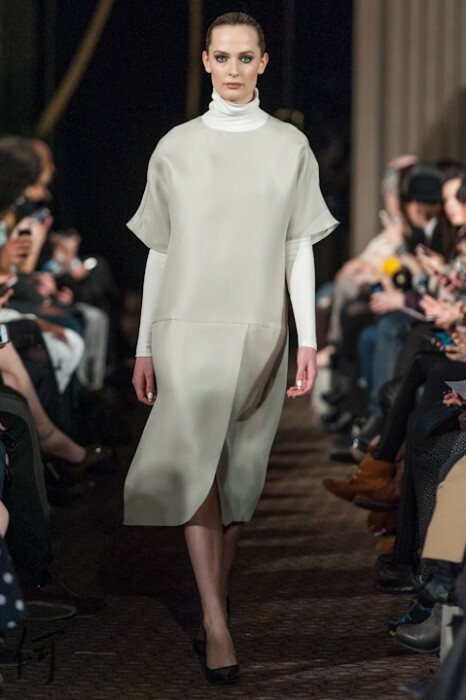 Minimalist forms and minimalist colours evoked an aesthetic that was a total departure form the over-detailed, over-worked, and over-shiny that we are often accustomed to with a man of Matis' talent. Instead we are treated with something a little unexpected but equally great; it almost acts like the energy of the Collection as opposed to the grandeur of the material or the aesthetic itself. 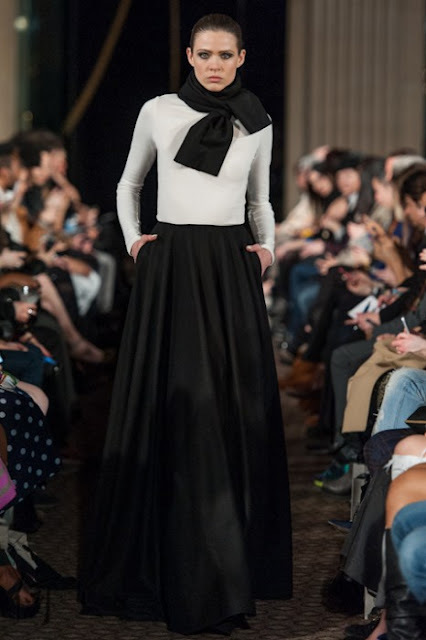 The clothes acted like images, and the Collection, like all Fashion Shows, existed perfectly in that moment. 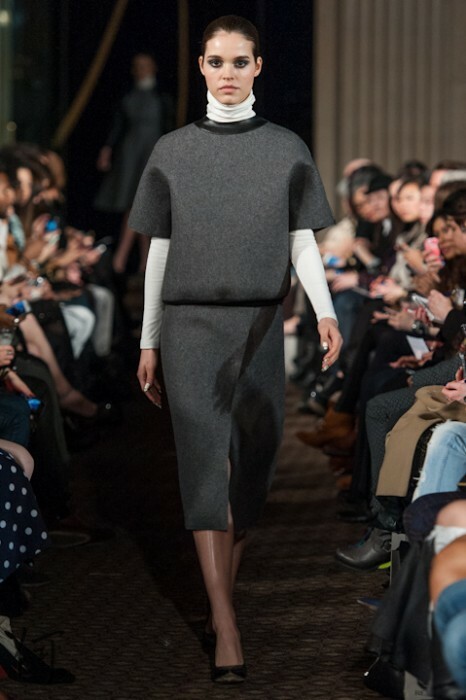 The white was flowing and bright, the cool greys were sharp and architectural, and the blacks were rich and chic. 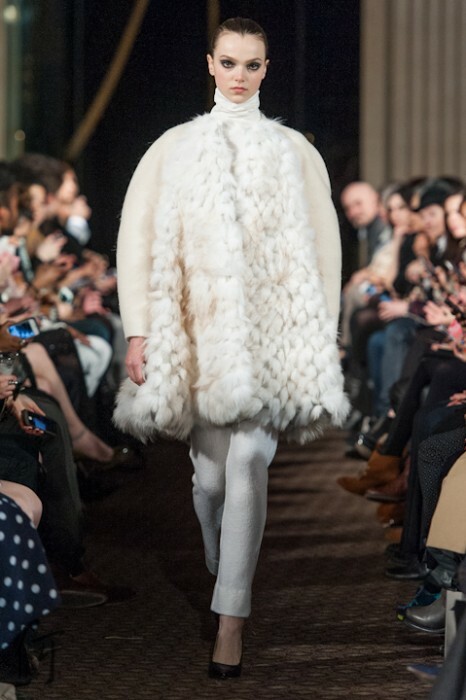 Dotted with textural elements of over-sized fur and the occasional matte leather, Monochromatic Fantasy was a nod to the greatness of true simplicity; something that it is uniquely difficult to do. Something like this requires the best trained hand and perhaps an even greater eye; without the option of bedazzlement or intersecting lines to create balance - the balance, the harmony of the form, becomes entirely dependent on the form itself. No line can be sewn out of place and no shoulder can be shaped differently; it calls for absolute control and absolute grace in execution. That is true craftsmanship, and simplicity of this caliber can be achieved be no one less than a masterful technician. A brilliant, bright, powerfully soft presentation. Thank you again Lucian.